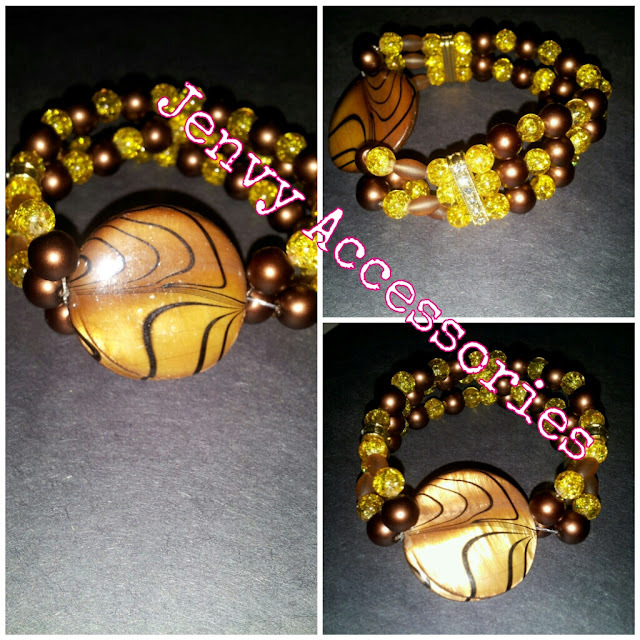 This lovely Honey Swirl bracelet is available for only $18. This lovely piece matches with many of our other items in our accessory collection. Want to make this a set? Let us know and we will make a matching necklace and matching earrings.